Whatever one thinks of Disney as a company, there is no denying that its array of channels and networks has not only been a source of joy to millions of children around the world but also a great grooming platform for aspiring young actors and actresses. 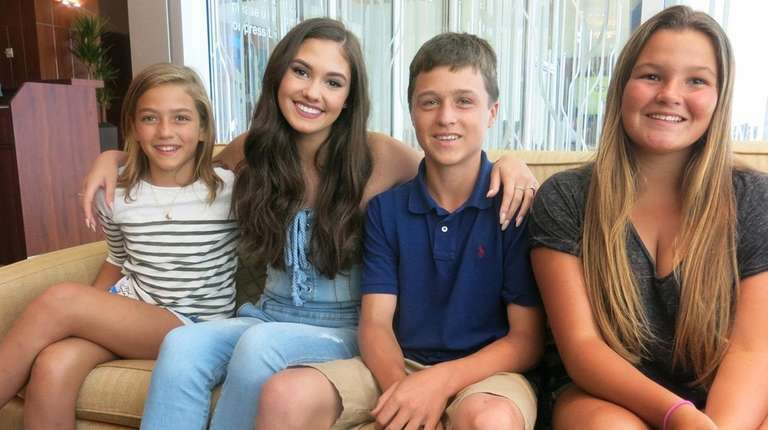 The company’s need to be the number one source of children entertainment fits in the need for actresses like Ronni Hawk to gain experiences early on into their career as actors. Hawk has enjoyed this opportunity via the show, Stuck in the Middle which she appeared on as Rachel Diaz between 2016 and 2018. It was a great learning experience for the actress and she has gone on to leverage it for appearances in other shows like On My Block and S.W.A.T. Read below to learn more about her. When Ronni Hawk was growing, she wanted to be many things. At first, she wanted to be a criminal defense lawyer, then she wanted to be an archeologist after she had experienced the amazing Indiana Jones movies. She later eventually settled for a profession that will let her be all of these things, at least on television, – Acting. Hawk began her life on the 9th of September 1999 as Veronica Faith Hawk in Boca Raton, Florida. She was born into a big family which was helmed by parents Ronald and Bambi Hawk. At the early stages of her life, before she was consumed by the world of entertainment, she attended BAK Middle School of the Arts where she nurtured her love for performing arts. Ronni Hawk got introduced into the world of performance art by her parents at the early age of five. She trained and partook in ballet dancing, jazz and modern dance at Boca Ballet Theatre. When she began her second decade in life, she had her first gig as an onscreen personality, working as a model and appearing in a number of commercials and print campaigns. It was a great opportunity for exposure for the Florida born actress and this eventually, at the advice of agents and other entertainment personalities, resulted in the family relocating to Los Angeles. She began to audition for roles on getting to Los Angeles and she got her first acting credit in the short film, Chloe in 2014. 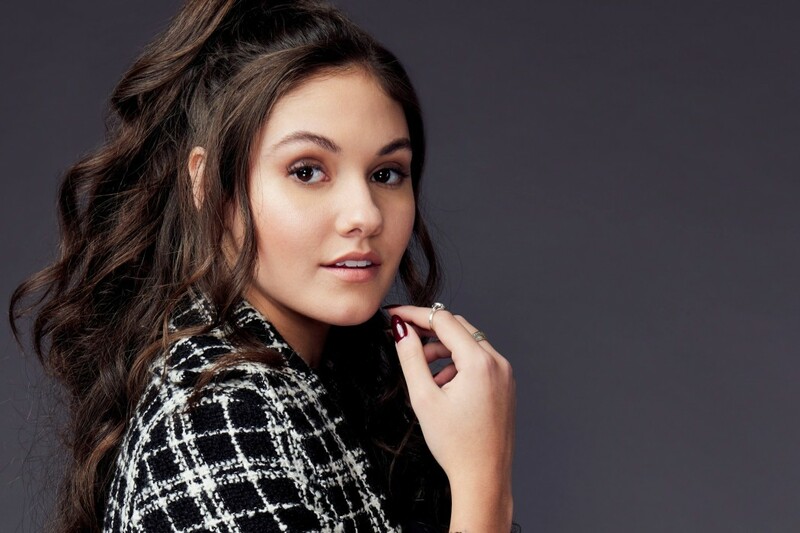 Ronni Hawk spent 2014 appearing in several short films, including others like Unspoken and Oblivious. In the same year, she appeared in her very first TV show as Leah in Playing Hooky. After a series of short films and a TV show in 2014, Hawk did not get a gig until 2016 when she was cast as Rachel Diaz in Stuck in the Middle, a Disney Channel program. She appeared on the show from 2016 to 2018 and at its completion, began to appear in the Netflix show, On My Block as Olivia. Her appearances in those two relatively popular shows on two of the biggest platforms in Hollywood helped increase her profile as an actress. She has gone to further appear in other shows like S.W.AT and films like Benson in the Dark and Average Guys. Despite being a young actress, the personal life of Ronni Hawk has come under scrutiny by her fans and viewers of On My Block. To those searching for the existence of an intimate relationship in the life of the actress, they would find that she has been in a relationship for over two years. Unfortunately, they might find that she might be a young actress, but she has mastered the necessary privacy of the profession because the identity of the man in her life is so far unknown. As for her larger life, particularly her extended family, she is the third child in a family of five with two siblings either side of her position, making the plot of Stuck in the Middle an uncanny resemblance to her own life. Ronni Hawk may no longer be a teenager but the actress still appears to be growing physiologically. At this point in time, she has a height of 5 feet 7 inches with a body weight of 50 kg. As a former model, she has maintained a fit body and currently sports a body measurement of 32-24-33 inches for her bust, waist, and hip respectively. Other body features you will find on Hawk include hazel colored eyes and dark brown hair.